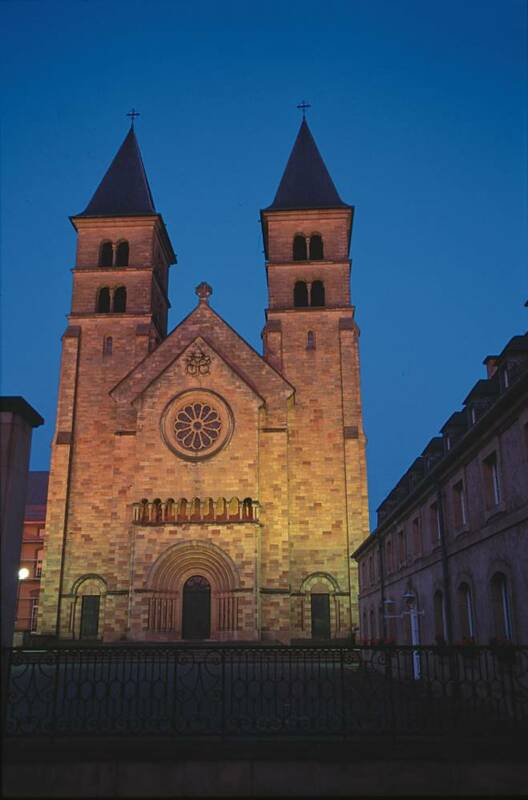 In 698, Willibrord founded the Benedictine abbey in Echternach known for its scriptorium and its preciously illuminated manuscripts from the 11th century. 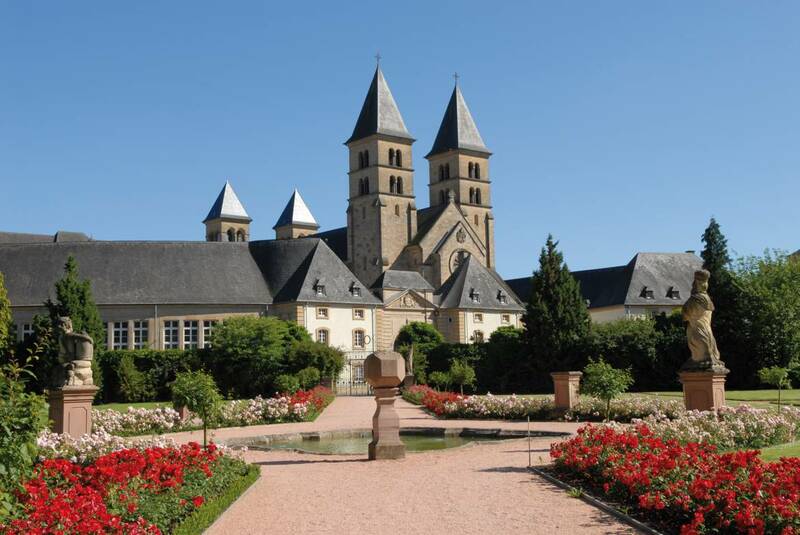 The museum of the abbey (www.willibrord.lu) clearly depicts the history of the monastery and contains several facsimiles of these works of art. In 1727, the construction of a new abbey began, beautifully situated next to a park with an orangery, fountains and Rococo pavilion. 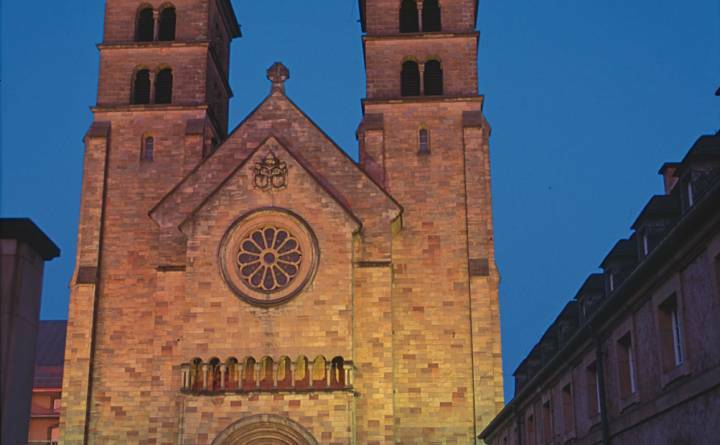 The former abbey was dissolved during the French Revolution. The abbey itself houses a school today and cannot be visited. The abbey museum is situated in the vaulted cellars of the former abbey and is mainly dedicated to the Echternach scriptorium. 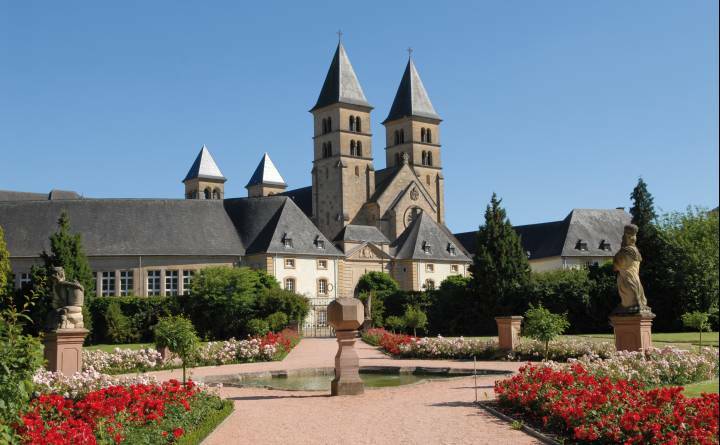 In the Middle Ages, the scriptorium of the Echternach abbey was one of the most important in Europe. The decorative paintings in gold of the first letter of Gospels are not only outstanding works of art but are unique because of their Romanesque symbolism. The libraries of the Escorial or in Nuremberg host several of the codices painted in gold as their most valuable treasures. The most beautiful facsimile pages of the famous magnificent specimens such as the Codex Aureus Epternacensis or the Codex Aureus Escorialensis can be admired in the museum of the abbey. In a second section, the visitor will find vivid evidence of the work of St. Willibrord, his time and his origin. The beauty of the rooms and the quality of the exhibits and audiovisual presentations give a visit to the abbey museum a memorable character. 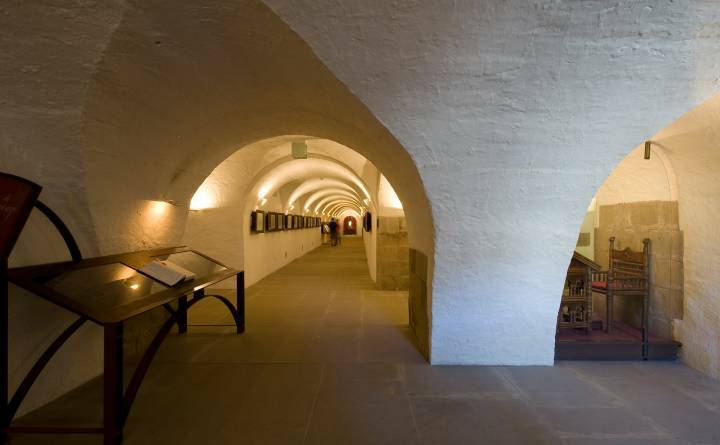 The Abbey Museum has 10 audio guides in German, French, Dutch and English, which are provided free of charge to visitors. The user will only need to deposit his identity card as guarantee.